Stay tuned for the official program agenda! 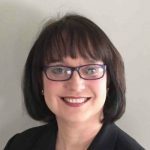 Wanda is the Vice President of Payments Education for ePayResources where she is responsible for the development and delivery of electronic payments education, including in-person classes, web conferences, and webcasts. 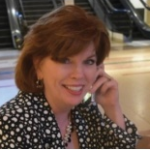 She has more than 30 years’ experience in the financial industry, including customer/member service, lending, operations, accounting, and management. Wanda understands the challenges and opportunities facing stakeholders in the payments industry. 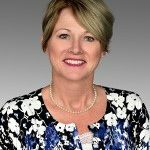 Prior to joining ePayResources, she worked for First Carolina Corporate Credit Union in member relations, business development, and marketing where she worked with credit unions across the Carolinas and Virginia. Caren is a partner with Smith Debnam, and concentrates her practice in consumer financial services litigation and compliance, bankruptcy, and commercial litigation with an emphasis on creditor’s rights. 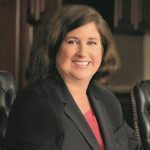 She practiced with Smith Debnam from 1992 until 2011 and rejoined the firm in 2015 following a three and a half year stint with an Am Law 200 law firm based in Atlanta. She has a deep understanding of the complex compliance environment surrounding the financial services industry and regularly advises financial service companies on licensing and compliance issues involving state and federal consumer protection and finance statutes. Glenn is a Principal Consultant with FICO’s Deposits Practice. In this role, he focuses on solutions that address deposit pricing needs to attract and retain customers. Glenn started his career in banking with Bank of America. As an experienced product manager within retail banking he launched products in savings and payments including eight patents related to consumer banking. In recent years his work has focused on banks leveraging analytics and decision technology such as price execution to create value for consumers and increased revenue for financial institutions. 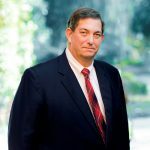 Knox is a general business attorney with a financial institutions and regulatory background with Ward and Smith, P.A.. 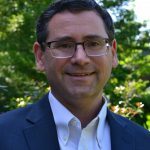 He helps large, mid-sized, and small businesses with general corporate and business issues, including mergers and acquisitions, and is particularly well-equipped to address a variety of regulatory issues and lending matters. Knox has experience with securities issues, and also advises on trust issues, securities brokerage, investment advice and asset management services, and insurance services. He serves on various North Carolina Bar Association committees, including those that deal with legislative issues affecting financial institutions and trust administration. Prior to joining Ward and Smith, Knox served as related financial services counsel for one of North Carolina’s major multi-bank holding companies. Before that, he practiced law with a large law firm in Raleigh. Knox was named a 2017 “Lawyer of the Year” by Best Lawyers in the field of Corporate Law. Jeb is an Assistant Attorney General in the Consumer Protection Division of the North Carolina Department of Justice. 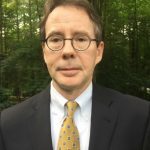 His work involves bringing enforcement actions against individuals and companies engaged in elder fraud, home appliance and retail fraud, and tax preparation fraud. Recently, he has also been involved in investigations of pharmaceutical practices concerning drug pricing. Prior to accepting his current position as an Assistant Attorney General in 2012, he practiced law in Michigan for 15 years and represented employees in workers’ compensation and civil rights cases. The NCBA has secured a discounted rate of $159/night for our attendees at the North Raleigh Hilton. To secure this discounted rate, please call the hotel directly at 919.872.2323 and ask for the NC Bankers Association discounted rate. This rate includes complimentary transportation to and from the North Hills Mall. The hotel is located seven miles away from the University Club. Read the Weekly Bulletin Online! What Can We Expect in Future Mortgage Lending Regulations?